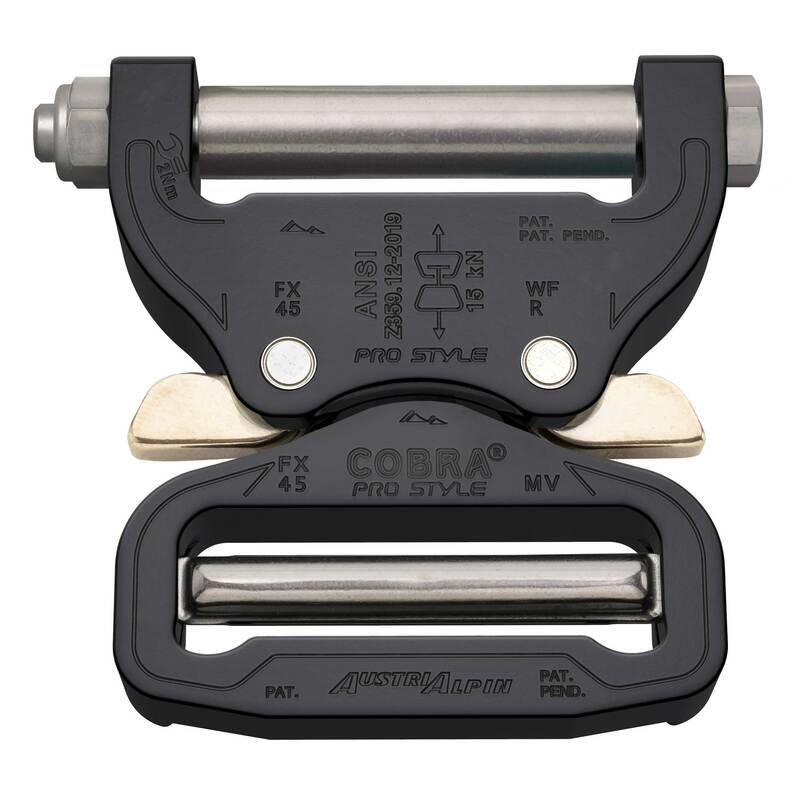 Made for the US Navy, the new ANSI rated RETROFIT COBRA was designed to replace existing inferior or worn hardware in any sewn webbing or fixed system (e.g. : harnesses). Perfect for applications where fragile parts (plastic) need to be replaced with a high quality product without destroying the sewn webbing product (e.g. : belts). It also functions as a versatile ‘removable - movable’ safety buckle.